In Sri Lanka, general discussions pertaining to migrant workers have two distinct yet unrelated sub themes. Firstly, the abuse meted out to female domestic workers is considered ‘hot news’ with valuable airtime devoted to highlighting the risks women face in seeking employment overseas. Secondly, at policy level, migrant workers are constantly mentioned in relation to the foreign exchange they remit. In 2016, foreign remittances totalled US$ 7.2 billion, a majority of which came from Sri Lankan migrant workers employed in West Asia. Therefore, policy discussions tend to focus on reducing the cost of remitting money and ensuring that workers use formal rather than informal channels. While such dialogue is critical especially given the decline in remittances noted by the Central Bank of Sri Lanka, discussions relating to migrant workers must move beyond the critical pecuniary role they perform and look towards providing long-term support to this large group of Sri Lankans working overseas. However, this requires a thorough understanding of the socioeconomic dynamics underpinning the lives of migrant workers. This is no easy task. 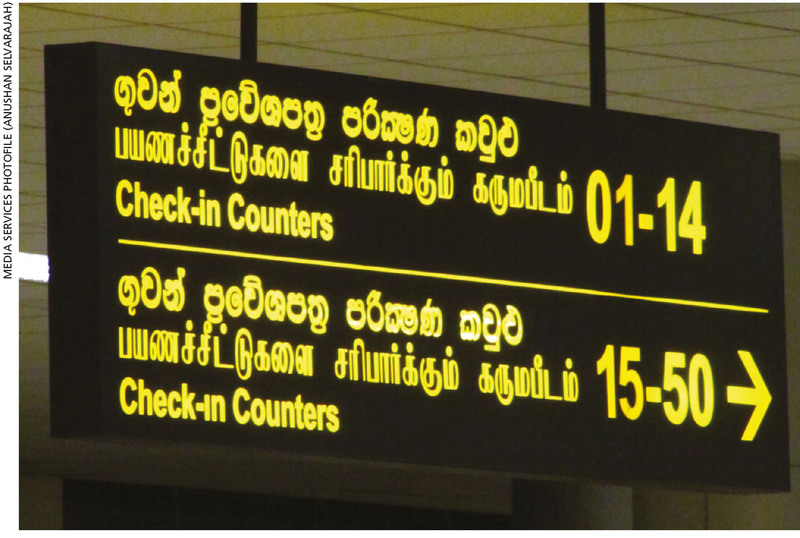 The first obstacle when unravelling the complex socioeconomic dynamics of Sri Lankans employed overseas is the lack of official data on migrant workers abroad. While the Sri Lanka Bureau of Foreign Employment (SLBFE) possesses disaggregated data that shows the outflow of migrant workers from Sri Lanka, tracking the highly mobile migrant worker population has proven to be extremely challenging. Estimates vary greatly with some statistics quoting as many as 1.5 million to two million Sri Lankans working overseas. More conservative estimates place the migrant population at a million or less. According to the national population census of 2015, the number of Sri Lankans who are living abroad temporarily is much lower – 604,540. Such major variations in the numbers make it extremely difficult to understand the impact that migrant workers have not only on the local economy but the very social fabric of Sri Lankan society. The absence of a clear idea on the size and status of the migrant worker population makes it more difficult for the government to respond to the needs of its citizens working overseas especially during politically volatile times. Another problem is that the SLBFE is unable to track all these migrant workers unless they register with the bureau prior to departure. Therefore, it is doubtful whether all highly skilled migrant workers have been captured by these statistics. This concern will exacerbate as unskilled and semiskilled migrant workers rely on informal channels to secure work overseas. Furthermore, rules introduced to curb prospective female migrant workers may lead such women who are denied access to migrate to opt for informal channels of leaving the country in search of work. Complicating the matter even further is the inability to track migrant workers who return, making it nearly impossible for the government to link returnees to services and support systems available locally. At the same time, despite women and men migrating for work for over 30 years, there is still no national survey that focusses on migrant workers and their families. This makes it difficult to generate a comprehensive picture of the lives and livelihoods of the families left behind. The absence of reliable numbers thus becomes a major obstacle to proposing ways and means of protecting migrant workers and their rights, and advocating for the welfare and socioeconomic viability of the families left behind. Ironically, as remittances decline, and the volatile economic and political conditions in West Asia compel Sri Lankans to return in large numbers, the government may find itself ill prepared to respond to such an influx of returnees. Therefore, it is of great importance to establish a systematic mechanism to better capture the true number of migrant workers leaving and returning to the island. Such a mechanism must be cognisant of the myriad ways in which Sri Lankans leave our shores in pursuit of employment opportunities elsewhere and return home under the radar. While estimates can help, they can only go so far in determining the impact that migrant workers have on their country of origin. Well, there are two concerns that are interlinked, as well as can be debated independently, with regards to tracking migrant workers. Firstly, most of these migrant workers including skilled professionals do not go through the formal registration procedures required by the Sri Lanka Bureau of Foreign Employment (SLBFE). If so, then what official data are available to capture as official records? Secondly, there should be a clear demarcation between those Sri Lankans who are ‘working overseas’ and those ‘living abroad temporarily.’ This is because there is a huge amount of 1.5 million working overseas versus 604,000 living abroad temporarily. In the first category, they may be skilled professionals and workers who have secured jobs or careers through their own contacts and vie for permanent residency (PR) status. Therefore, they are less likely to be registered under formal SLBFE procedures as this segment may not have such needs. Hence, not captured by SLBFE records either. As for the second category, these temporary workers are those unskilled Middle Eastern workers who, as widely known, go through an agent to find employment and do not come under the safety net of the SLBFE. To start off, what the SLBFE has implemented for registered workers – i.e. monitoring etc. – can provide insights. For an overall picture and better responsibility as authorities for migrant workers, the SLBFE together can tie up with foreign labour authorities of those countries. Then, the inclusion of details from migrant workers can be made mandatory (say when renewing travel documents or resident status), which can assist the social welfare of their families. Such a system can offer more qualitative benefits. Launching such a tracking system for safety, accountability and welfare is laudable.